The information entered above is correct and I agree to have my 30-Day Trial of LifeCell delivered to this address. 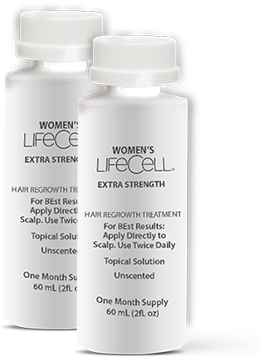 More than 30 million women in the U.S.
LifeCell Hair Restoration System was formulated for women who are going through hair loss or thinning. Everyday stress, hormonal changes, poor nutrition, age, menopause, post-pregnancy, heredity, medication and damage caused by the environment and over-styling may impact the health of your hair and lead to breakage and excess shedding. Therefore, it’s important to ensure that the hair and scalp are healthy, conditioned and nourished to maintain the ideal environment for healthy hair growth. Hair loss may lead to anxiety, stress, lack of sleep, and depression. As you age, your hair is robbed of nutrients and the follicle shrinks causing weak and fine hair which eventually falls out. 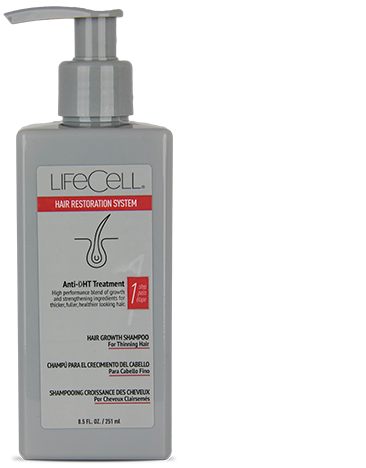 LifeCell Hair Restoration System acts to increase blood flow and to stimulate the hair follicles. Start Treating Hair Loss Today! Though it’s the second most common kind of hair loss, thinning hair is more a description than a condition. It appears as shedding or diffuse thinning over the scalp. This type of hair loss can be very unpredictable and could be related to several causes, including hormonal imbalance. It can also happen after giving birth or possibly be triggered by high stress. It’s typically not permanent, and hair often grows back once stress decreases or hormones regain a healthy balance. This is caused by a combination of genetics and hormones. Every hair follicle is genetically programmed to be more or less susceptible to various hormones in the body. More susceptible or weaker follicles will be damaged when confronted with these hormones, causing the hair to first shed and gradually become thinner and finer with each regrowth until, eventually, the follicle itself succumbs and dies. An inherited trait, the amount of susceptible hair a person has is solely reliant on genetic chance and can’t be predicted. Naturally, those born with more of the weaker follicles will experience the greatest loss. 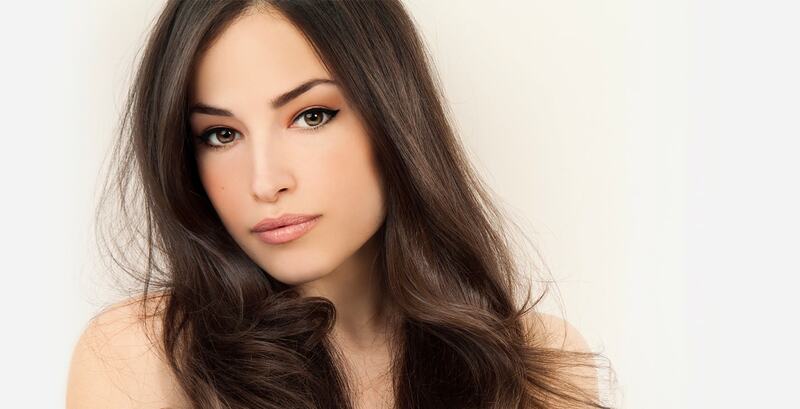 Hair loss will affect most women at some point in their lives. DHT, or Dihydrotestosterone in full, is a steroid and hormone that plays an influential role in hair loss. DHT, as it commonly abbreviated, is a steroid and an androgen (associated with masculine characteristics) hormone. DHT inhibits and reduces the proper growth of hair in the follicles. DHT attaches itself to receptor cells of the part of these follicles (the root), preventing the necessary nourishment for the hair getting through for proper growth. DHT causes the hair follicles to shrink. Eventually these hairs stop growing. The ‘base’ of LifeCell Anti-DHT Shampoo makes the hair look shinier, thicker and fuller, improving the volume and texture of the hair in as little as two weeks. The other active ingredients will continue to improve your hair over the following months. LifeCell Shampoo contains three specific components that have been shown in scientific studies to have an effect on the action of DHT or dihydrotestosterone—a primary trigger for hereditary hair loss. Created for limp and thinning hair. It replenishes moisture, strengthens the hair shaft and adds volume and shine; creating the look of thick and healthy hair. This conditioner won’t weigh down your hair and promotes a healthy vibrant look and feel. 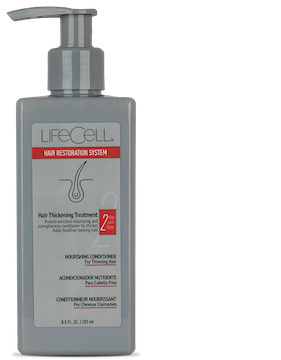 LifeCell hair thickening conditioner when used with LifeCell Anti-DHT shampoo and scalp therapy Hair Loss Treatment will make your hair fuller and have more body. Our formulation moisturizes the hair and scalp by infusing natural nutrients. 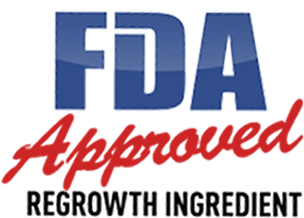 LifeCell Hair Restoration System contains the first and only FDA approved ingredient to help regrow hair. With more than 20 years of results and numerous clinical trials, it remains the #1 dermatologist recommended treatment for hair regrowth. It works by helping the blood flow to the hair follicles and increasing follicular size and hair shaft diameter, stimulating and prolonging hair growth. 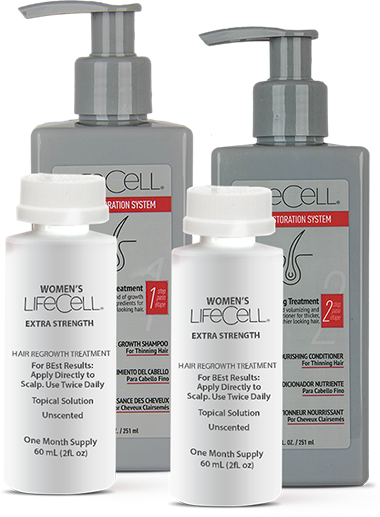 LifeCell Hair Restoration System contains the first and only FDA approved ingredient to help regrow hair. With more than 20 years of results and numerous clinical trials, it remains the #1 dermatologist recommended treatment for hair regrowth. works by helping the blood flow to the hair follicles and increasing follicular size and hair shaft diameter, stimulating and prolonging hair growth.